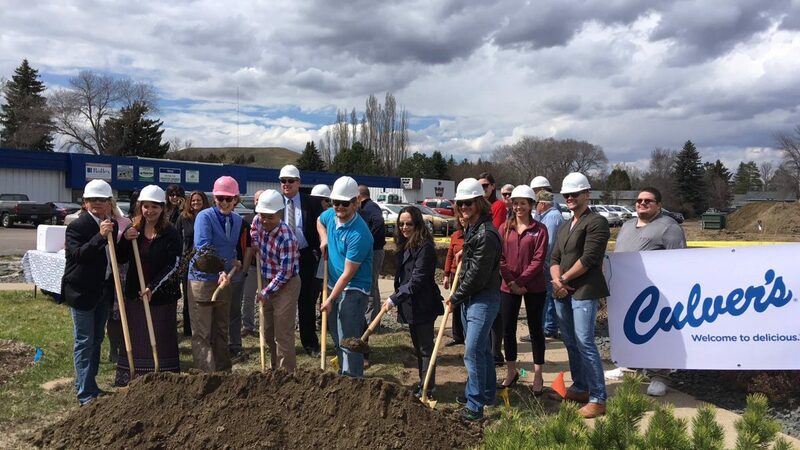 Culver's ground breaking in Mandan, May 2, 2018. Culver’s broke ground May 2nd for its new restaurant at 1704 E Main Street, on the former Bonanza site, which closed in 2017. It’ll be the region’s first Culver’s, who has been reportedly scouting local locations since at least 2014. Previously, a location was allegedly planned at Bismarck’s Hay Creek Shops that fell through. The Mandan location was approved last year.